For this craft project I decided to use a porcelain Mickey Mouse figurine that stands about 6 inch tall. I made two different version of the wreath using different accessory items. 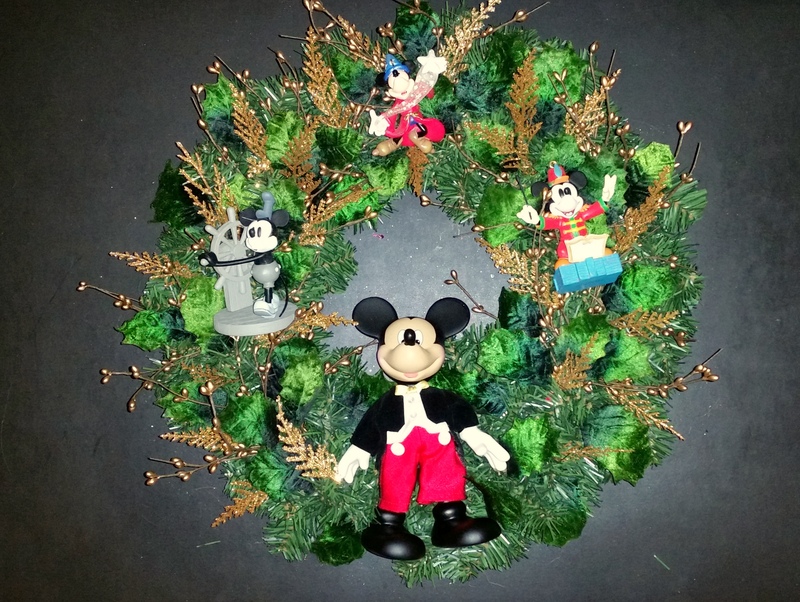 Version #1 is simple design using just the Mickey figurine and a few embellishments and version #2 uses the same items but I have added three Mickey Christmas ornaments depicting iconic Disney movies. 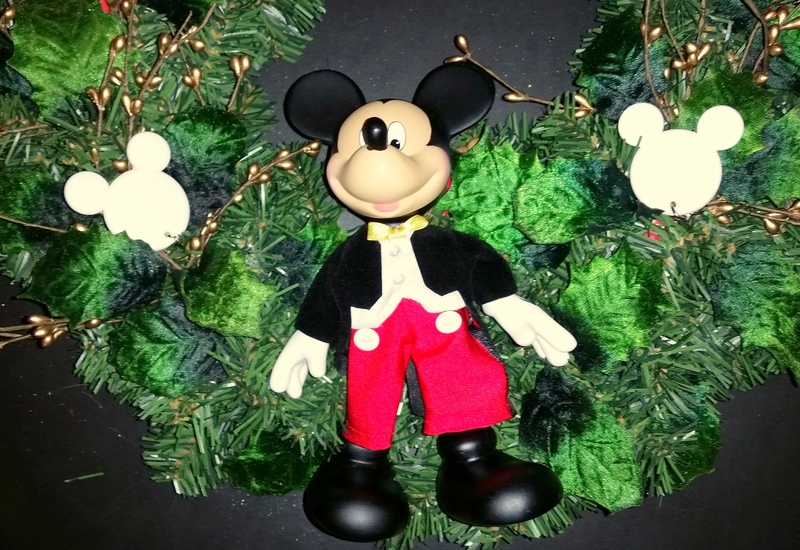 Mickey made his official debut in the short film, “Steamboat Willie (1928) which was one of the first sound cartoons and Mickey went on to appear in over 130 films such as “The Band Concert” (1935) and Fantasia (1940). 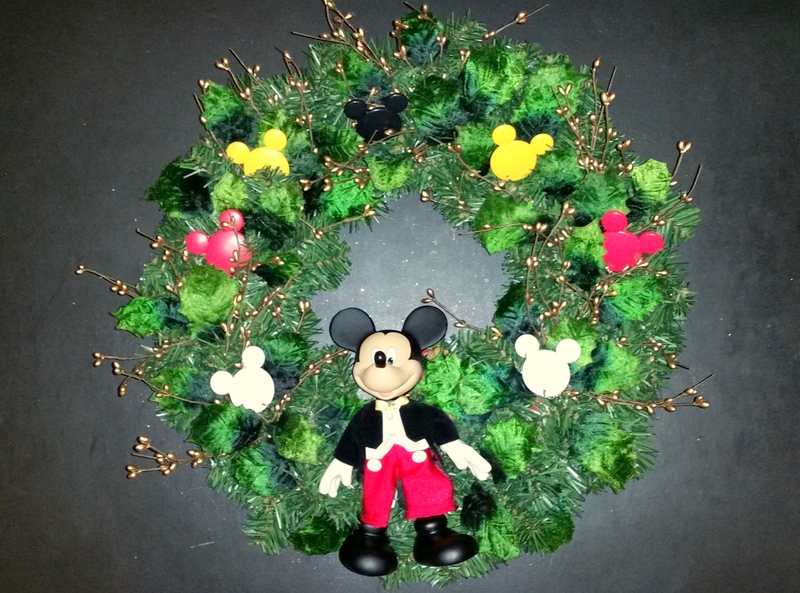 For some other ideas for Disney wreaths, please click on the following links: Christmas Wreath Craft Post featuring the Hallmark ornament series called “Mickey’s Holiday Parade” and next month’s Disney Wreaths Decor Post and Special Ornaments Wreaths Decor Post.